So Much Water . . .
.. Not too much to report. Saturday dawned clear and bright without a cloud in the sky. By noon the white wisps had filtered over the continental divide and by mid afternoon the sun was shielded by high thin clouds. The breeze was constant and persistent. 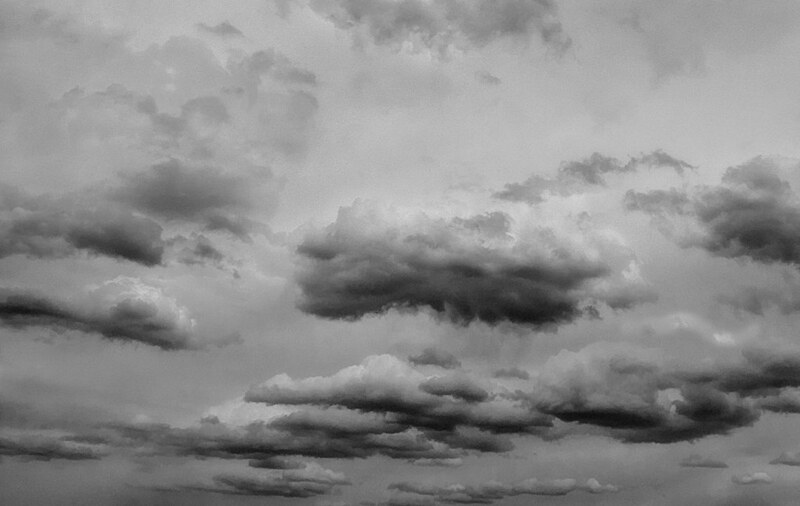 .. A bit of midnight drizzle brought more dense clouds and Sunday was right out of the guide books. It was bright with layered clouds for the first 2/3 of the day and a bit broken in the late afternoon. By 8:00 PM there were patches of blue between the dense gray clouds and the air stilled to dead calm - ruined our casting stroke. .. Gentle rain and a spit or three punctuated the day and into the evening. The rivers are clear, cool, and slow. 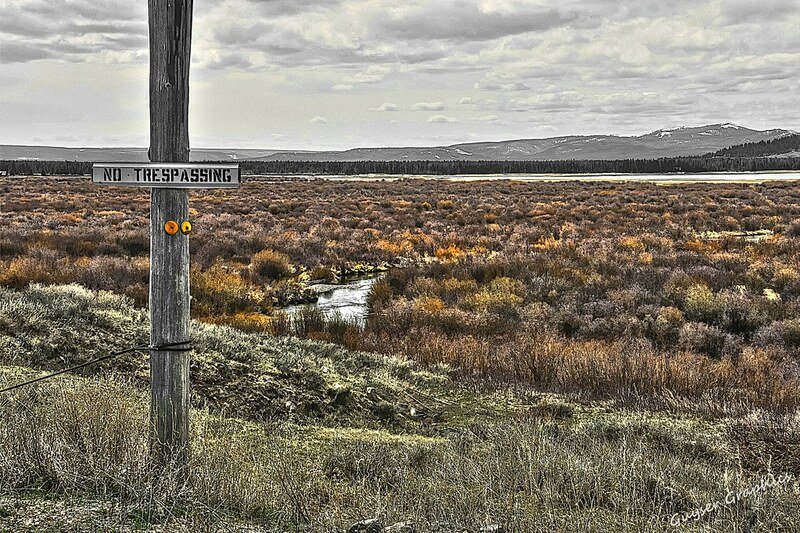 Three to four feet visibility in the Madison River and up to six feet in the Firehole River. Nifty. 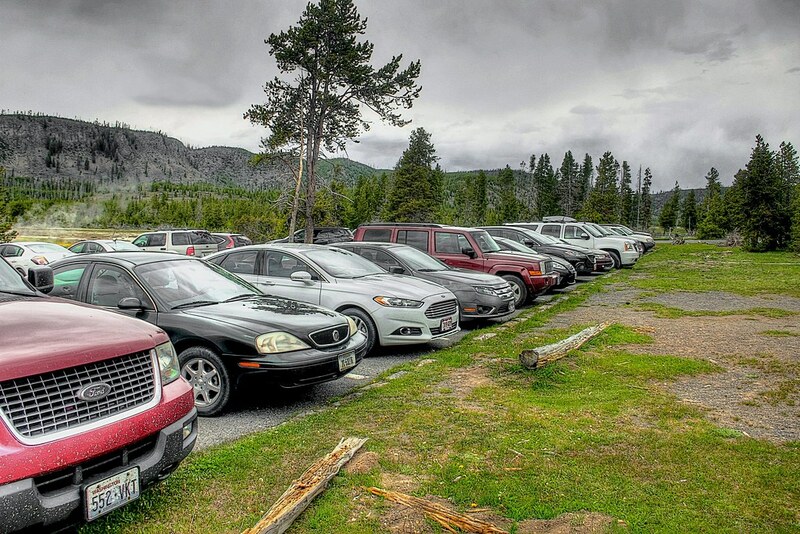 By nightfall there were blessed rains and a few thunder boomers in West Yellowstone. .. We saw mayflies all day, (even through lunch,) on both the Madison River and the Firehole River. .. Sunday evening produced 18 different kinds of caddis. There were big brown ones, little brown ones, gray ones, tan ones, flying ones, walking ones, big white ones, flying white ones, stationary white ones, variegated ones; ones with battle stripes on their wings, some with short feelers, some with long feelers, a few with no feelers, there were even smashed ones and crippled ones, and swimming ones, and fluttering ones, and floating ones. .. How do the fish keep track of which ones to eat? We foiled them with a pair of commercially tied soft hackle flies. They flew through the air when we cast them. They floated when we greased them. They sank when we weighted them. They were big to begin with. They were small when we plucked them. They skittered when we stripped them. They caught too many fish to count. We wonder what they were imitating? .. 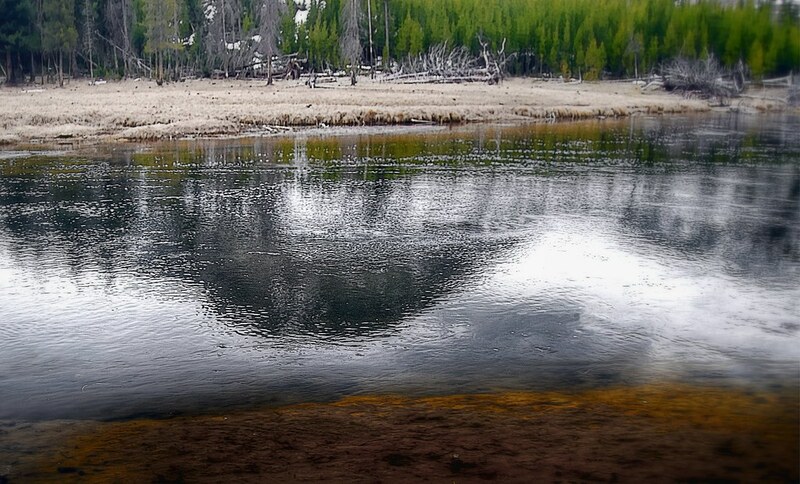 The National Park Service has once again re-classified the waters in Yellowstone National Park. .. The regulations have new wordings and limits of take. .. Killing is a "must" rather than a "should" in some additional areas. It's best to read the regulations. .. We found our opening day, isolated, dark holes guarded by Whistle Pigs this year. We watched for a while. They weren't fishing so we tromped through their living room and gathered in some fish. Given our current count of lustra and the state of our non-bionic wheels it's nice that there are so many places to fish that are less that 50' from the car door. Seems that folks just drive by without a look or glance. Fine by us. .. The Mary Mountain Trail is officially closed. Access to Nez Perce creek from the bridge is possible. If you fish here be sure to understand the bear closure and fishing access rules. Carry, IN YOUR HAND, bear spray. Fish with a hoard of singing Girl Scouts, and do not run if you encounter a bear. The river is clear and cold and has some large fish if that's your cup of bile. .. More to come in a day or two. It's time for stories and some vitamin "B." There's a new pub in town that's open right now. Another one is opening in a day or two. We suffer by fish and vitamin riches. 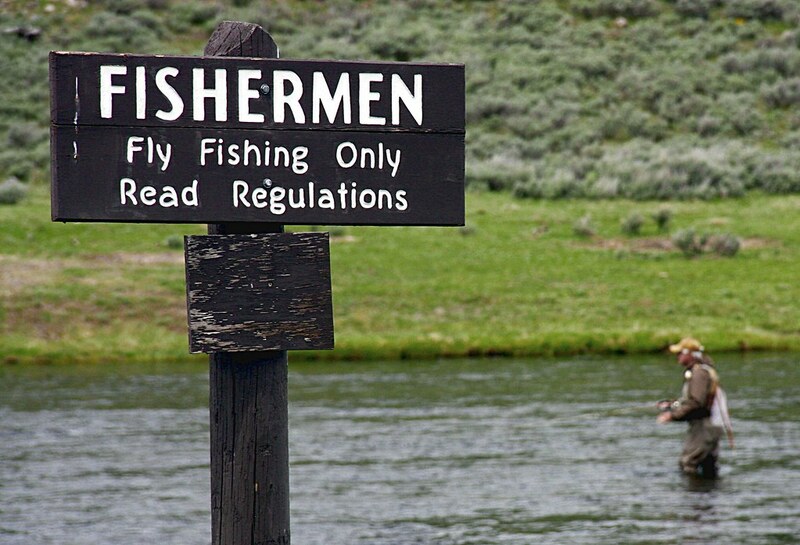 Legal fishing opens tomorrow in Yellowstone National Park. Weather: Mild - high in the 60's, mostly cloudy overcast, occasional and scattered or widely scattered heavy drizzle or light rain, breezy not windy, bright. Madison River: Lightly colored, visibility up to two feet, rising slowly, way below seasonal discharge levels, pretty river. Gibbon River: Cold and approachable in the upper reaches, some slight color in slower sections, noticeable color in canyon and big riffles, stable discharge, below seasonal runoff levels, pretty river. Gallatin River: Well into runoff regimen, cold but fishable near the banks and back eddy areas, especially attractive in confluence meadow near Fan Creek, pretty river. Firehole River: As good as it gets this early, below seasonal discharge, rising slowly, fish moving and vigorous, visibility up to five feet, wonderfully cool, very pretty river. Nez Perce Creek: Distinctly attractive, bears, bison, moose, dangerous. .. Bugs? 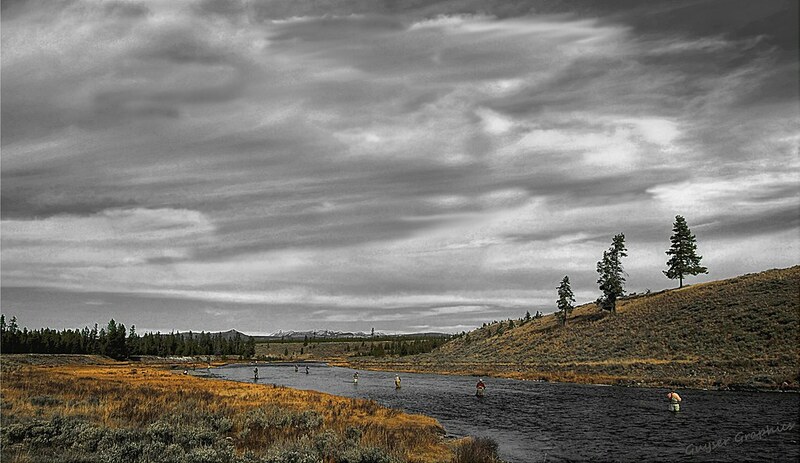 Yes, all day long on the Firehole River. Possible in early afternoon on all other west side rivers. .. Flies? Soft hackle in shallow riffles. Stiff hackle in deep riffles. King Prince Nymph in deep and dark water. Small Pink San Juan worm in meadow sections. Surface and film = size most important. .. Traffic? Probably not as bad as you'd think but gawdawful anyway. Visitation is lighter than in recent years past for this weekend. Visiting fishers will be happily surprised. Parking possible in most pullouts - if you arrive early. .. Lodging? All wader friendly lodging plumb full. Rooms still available at plush-carpeted motels and cabins. .. We had little time to explore the rivers away from our west side environs. 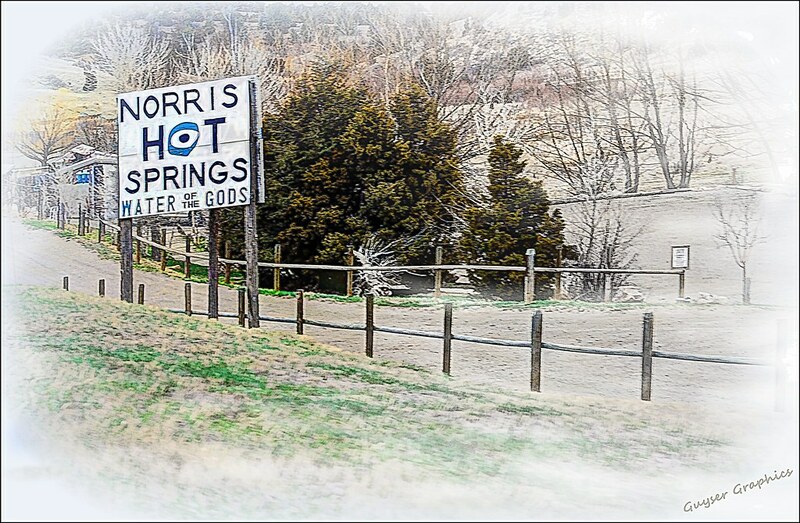 Check PARKS' FLY SHOP for rivers in the central, north, and northeast corner of Yellowstone National Park. 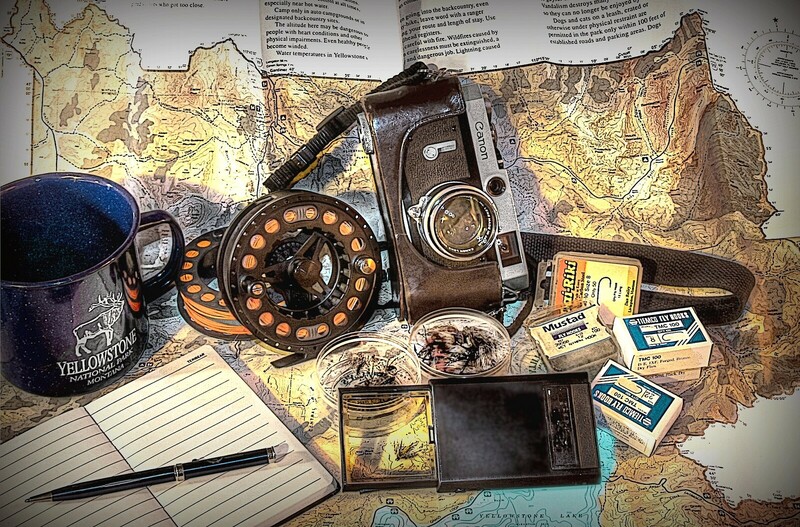 .. We may visit some of the best places tomorrow. We may wet a line. We may catch a fish. We probably won't encroach on your elbow room. There's a couple of nice dark holes that we haven't explored since last year. Hope not to see you there. WHAT'S A WATER SPOT WORTH? just another stick of grass ??? .. Time was when utility was dismissed in favor of aesthetics. .. 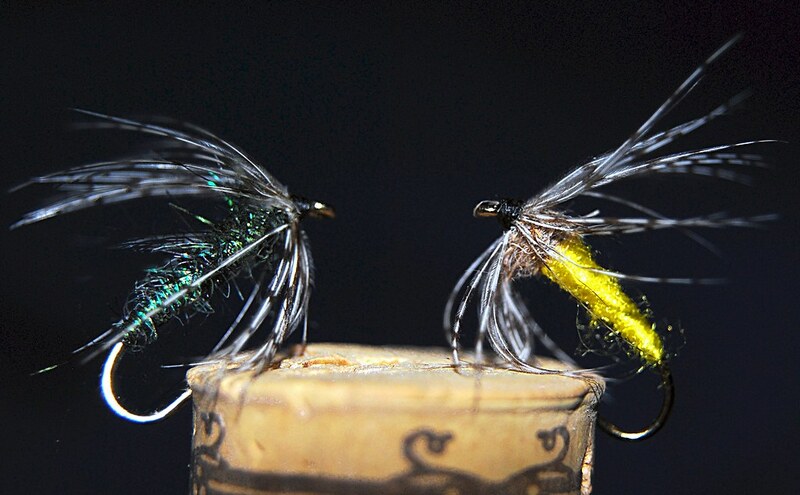 Discounting utility for 'the pretty' is still a fairly common practice among fly fishers. Pretty fish, pretty flies, pretty cast, etc. .. Members of the cult of Arundinaria Amabillis can be heard extolling the beauty of: grain, finish, craftsmanship, taper, uniformity of joints, etc. Oh, by the way it's possible to catch fish with it too. 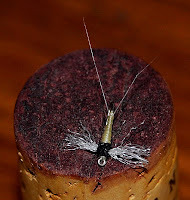 .. Red thread wraps scream abomination to the cult members that extol the aesthetic value of the dark brown thread that is "properly" used for the Orvis rods. .. The NINETY NINE is a commemorative model. 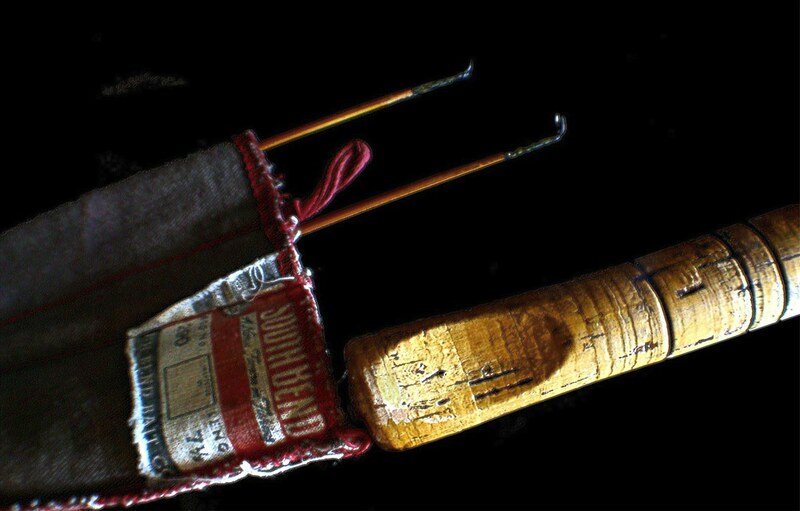 It was introduced in 1955 to commemorate Orvis's 99th anniversary. It's price point was below that of the then existing Battenkill models. .. The quality of bamboo, tapers, and construction is all the same. It just wasn't as pretty. There were water spots. You could see, infrequently, some small amounts of joint glue that barely was visible. It had Super Z ferrules, etc. Just not pretty. It catches fish though. .. 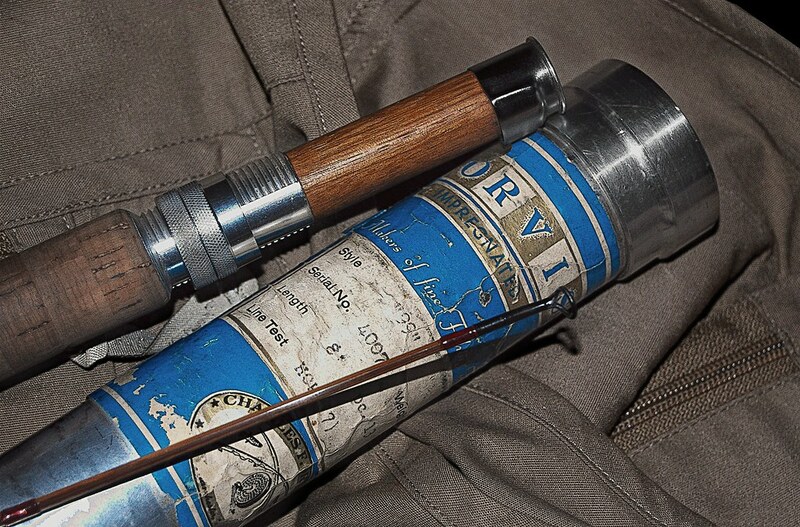 The 99's could be had with one or two tips and persisted in the Orvis offerings through 1966. This old friend is a late iteration and just had a birthday: April 1965, made by George Reid and Calvin Skinner. It's a fairly rare eight foot model with one tip section. It casts a 7 weight line and weighs a hefty 4 3/8 ounces. It catches fish just fine. .. If you are not overwhelmed by pretty, this model can be had for, (in American Dollars,) far less than the pretty rods. It catches fish with the prettiest of them. 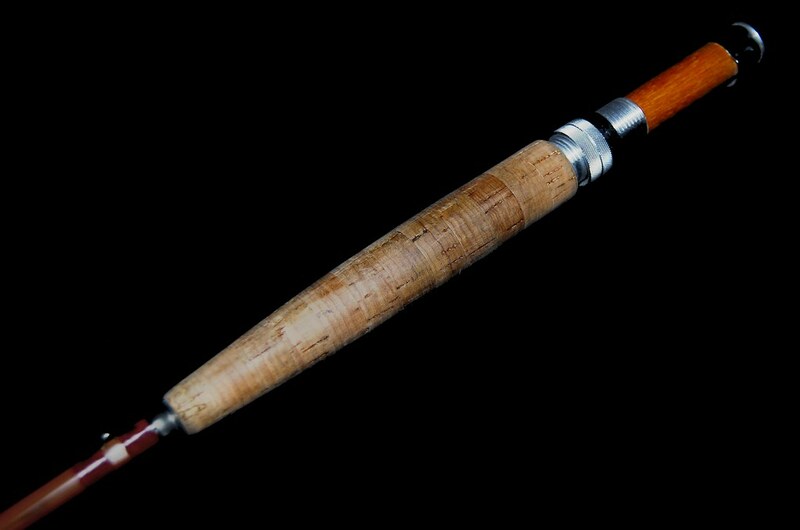 .. Orvis bamboo rods, (all of them, even the pretty ones,) are sturdy and meant to be fished. The lower grade rods feel just like a bamboo rod should feel. If you find one that matches your casting style, and can appreciate it's wonderful utility rather than it's pure beauty it can be had for a song in today's market. If you 'collect' sticks these are not for you. They catch fish. .. More dirty stuff. 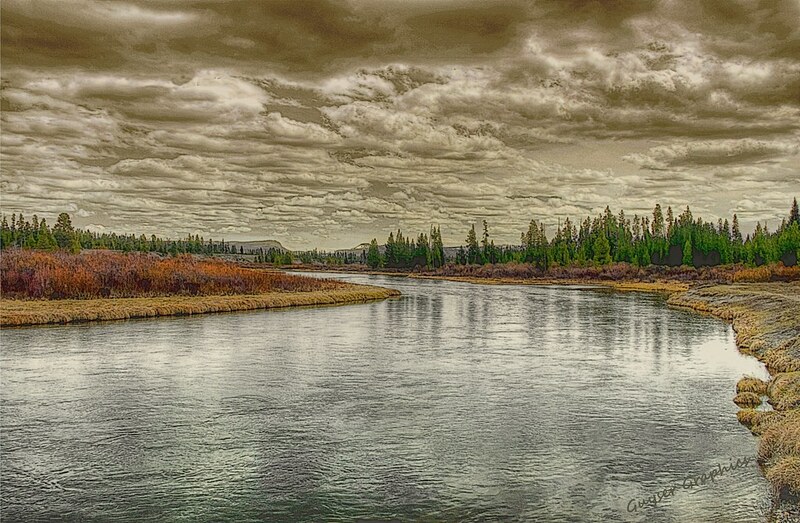 The Madison River in Yellowstone National Park is gaining a bit more color. We've had some blessed cool weather and some slow and soaking rains. The west side rivers are at, or below, their seasonal norms and still in the early runoff stage. .. We suspect that they will all provide catching possibilities for the opening day this coming weekend. We're headed into the park on Thursday and Friday. We shall return with a final and late update. Check the sidebar links to feather merchants for the appropriate flies. .. We're not much of a gear junkie. We fish anything that gets the job done. We're embarrassed when conversations turn to the latest and greatest. We have so little to add. .. The fancy materials continue to proliferate. The weights and actions and lengths, and designs seem to fascinate so many folks today that we're plumb out of the loop when the conversations turn. .. We dusted off this old piece of bamboo in front of one of the "wise ones" in the neighborhood. The reaction was a bit much. 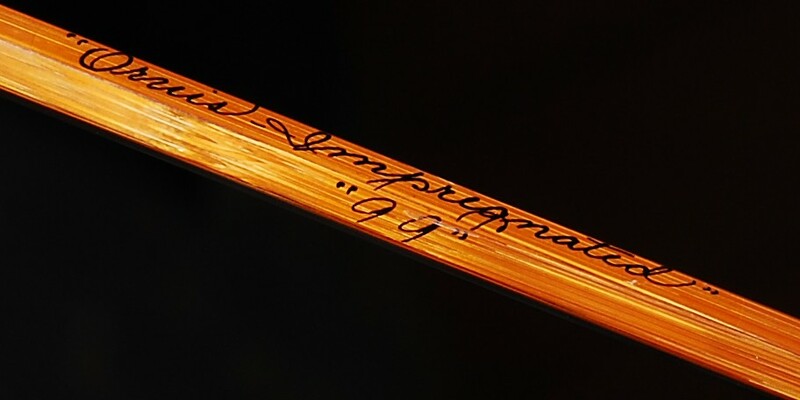 It seems that we should be impressed that this old stick has in it's genealogy some names that grab others deep in their ichthio-id. .. This old whip hearkens back to the Cross Rod Company, by way of Wes Jordan and Paul H. Young. Golly - Gee - Whizz, all of that and it catches fish too. .. It's a post-war model, (probably late 40's,) that we picked up cheap in Pocatello, Idaho during the transition to fiberglass, (about '64 or '65.) It's been fished ever since - fancy names be damned. It caught a lot of fish on the Portnueff River back then. The South Fork too. .. The little 7 1/2' rod sings with a six or seven weight line and feels just fine to us, given the way we cast. Either from a boat or from the bank it hits the water most of the time. And catches fish too. .. The wise-one was quite taken aback at the thought that we found the great hoary divot in the handle, (we've been told to say 'grip',) was a bit grotesque. 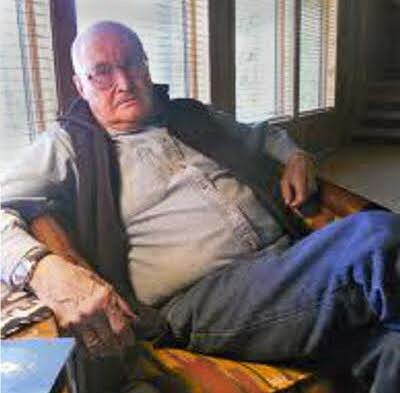 He explained that the divot was in fact a bit of fly fishing controversy and that the great names had all claimed it at one time or another. Wow that too and it catches fish? .. The tip-tops are blued like a cheap gun. It has a cute pinkish reel seat and the cork handle, (oops - again,) has nifty blood grooves carved into it every so often. Probably helps to catch fish. .. 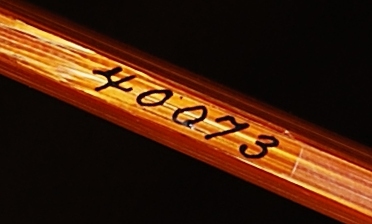 This stick sold for $9 or $10, (as much as $16 later in it's production,) and was considered a mid-grade rod. We have since fished it in over 20 states: and will fish it in one more come Thanksgiving time. It'll catch some fish too. .. In keeping with it's blue collar heritage we're going to paint it with some shoe polish to get rid of the very twinkly finish. Dark cordovan or black should do the trick. Maybe we'll use some flat green acrylic left over from the patio table. There's a smidgen left in a spray can around here somewhere. It should still catch fish. .. We might just sand it down to get rid of the writing and the black spots that look like candle burns, and paint it with some brown and green and black splotches so it's camouflaged a mite better than it is now. .. And, certainly adding a fancy red or blue rubber handle, (oops - grip,) will dress it up. And, for sure, get rid of the divot in the handle - that should make it look pretty snazzy too. It may catch more fish if it gets all fixed up. .. Maybe after we get it all customized we can sell it on eBay for the same price that it fetched when new. 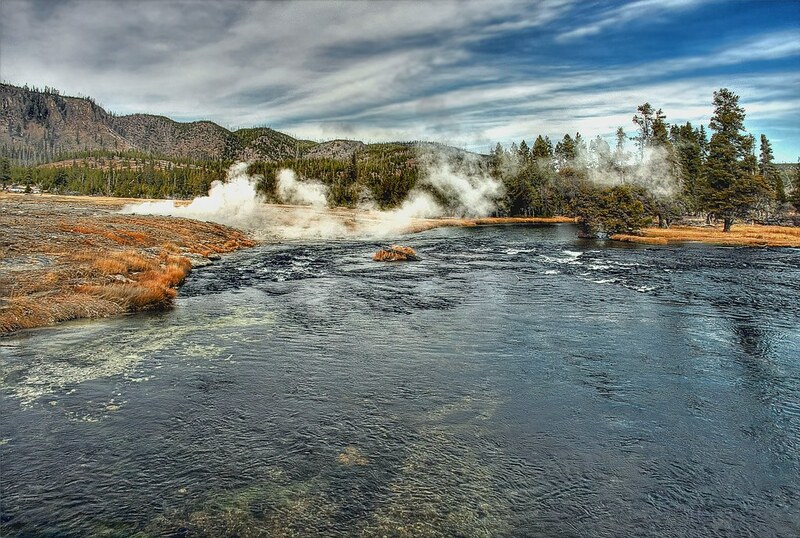 We'll take it to the Firehole River on Opening Day in Yellowstone National Park next weekend. Perhaps there is an unsuspecting buyer to be found there. .. It's that time of year. Hoards of visitors are already arriving in the neighborhood. They bemoan the gentle drizzle as if they would melt. We're loving it to death. .. The Firehole River is cooling with the overcast and the manna from above. The runoff event, in the other neighborhood rivers, is slowly building to the supposedly "unfishable" stage. .. We've got some very large dark flies that cast both a shadow and produce a fine silhouette. It's not a secret. It takes fish. It takes time, patience, covering lots of water and lowered expectations in the numbers department. Size of fish is no problem. .. 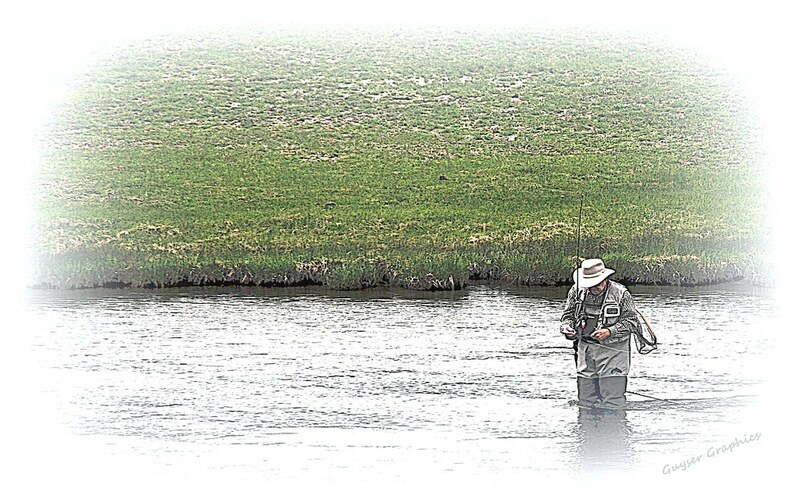 The lowland Madison River is coloring up nicely and it takes a sage fisher and/or savvy guide to gather in the trout. .. Right this instant there is about 3/4 mile of perfect conditions on the Gallatin River. 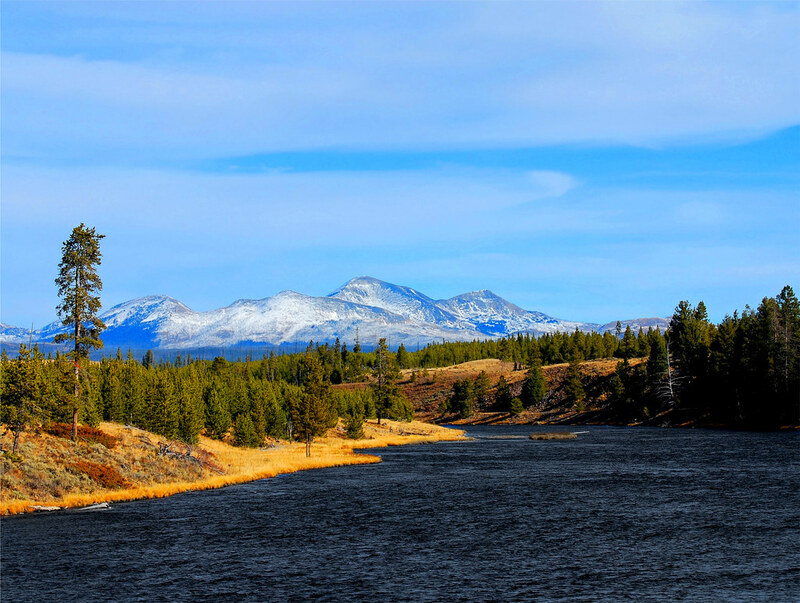 It snuggles in between the northern boundary of Yellowstone National Park and the Taylor Fork. This is that section that the gentleman fishers in the region call too cold to fish. So be it. .. The neighbors have migrated from the lake edge to the weed beds of the estuaries and the prominent points along the periphery of Horse Butte. Leeches and midges may seem to be a pair of strange bedfellows - works though! 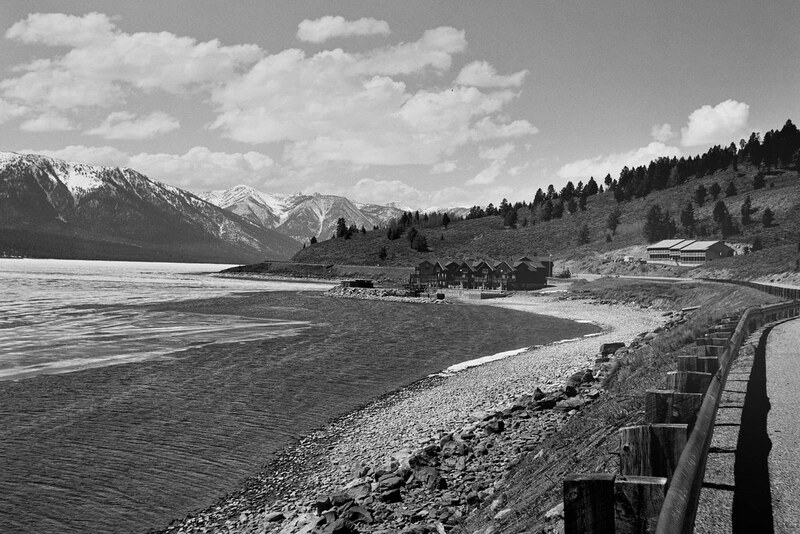 .. We visited the relatives and caught a few fish on the Madison River below the dam at Ennis Reservoir. Burned up some high dollar beef, fortified ourselves with some vitamin "B", and soaked a bit in the drizzle. Not your typical tourist attraction day in the neighborhood. .. We're planning for the exuberance of next weekend. A bit of couch time, some more grilled beef, additional vitamin enhancement, fish a little, watch the parade of automotive sameness, fish a bit more, and snooze some. .. A blindingly strenuous weekend looms. We'll use this one to relax: fish a bit more and rest up for the foray into the social fishing scene on opening day in Yellowstone National Park. .. As all of our neighborhood rivers and streams begin their diurnal / nocturnal sinusoidal runoff phase, we're keeping a close eye on the Firehole River data. Not so much the discharge numbers but rather the temperature numbers. .. The river has already topped 65°F two days in a row. This is not alarming in itself. It is, on the other hand, a bit early for those temperatures. 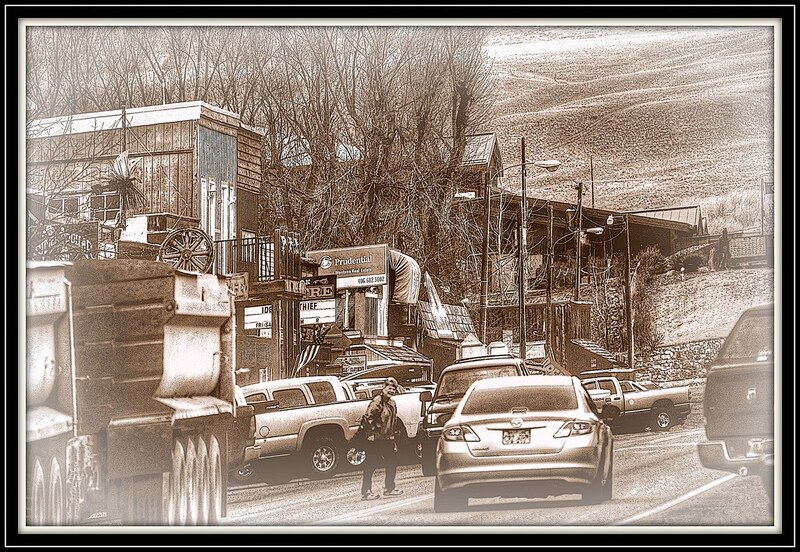 MOM, HER DAY, TRAFFIC, ENNIS. .. We have heard about the prolific Mother's Day Caddis Hatch erupting on the lowland Madison River and, over the weekend, consumed some valuable petrol to investigate. .. There were many fishers, (boats, tubes, wading.) Some caught fish. We caught fish. 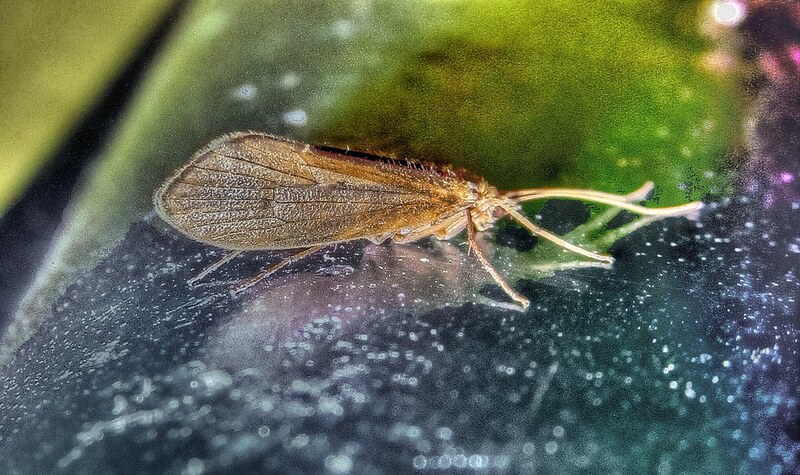 Saw a half dozen caddis flies in five hours. They are avoiding us. .. Stopped to visit the feather merchants in Ennis. Elbows and knees punctuated the tight quarters and musty aisles. Information, conversation, and ambiance was dispensed freely. It was good. .. Flows are picking up in the lowlands. Color is creeping into the water on the lowland Madison River. The silt load of the West Fork is beginning to make itself noticed. It brigs with it some fresh nutrients and bits of food. Fish figure it out about a week before the fishers. Flows have remained at seasonal levels. .. It was one of our few excursions down below. It has it's rewards. It has it's drawbacks. The scenery is nice. 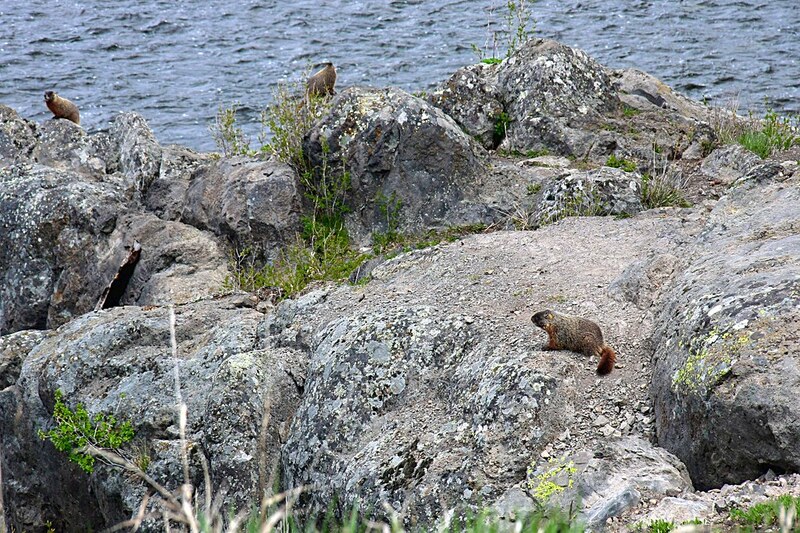 .. Two weeks from today will have seen the hoards of fishers descend on the Firehole River in Yellowstone National Park. .. The west side rivers in the park are just beginning to rise. Flows are up a bit and we are entering a runoff event. The Firehole River has spiked in the last two days to about 250 cfs above seasonal norms. It's still relatively clear and could be fished with success. .. The Gibbon River has been running just above seasonal norms and just now is beginning to climb out of it's torpor. It is surprisingly clear, at the moment. .. 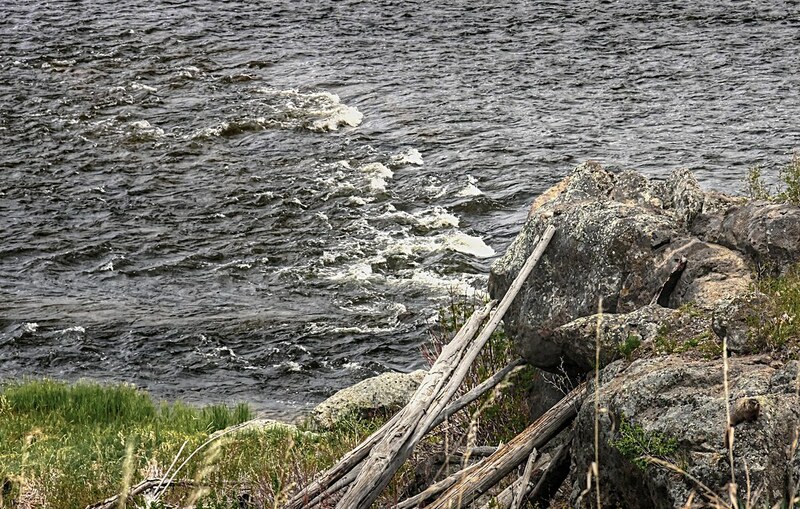 The Madison River has responded to the increase in flow by coming to the bank full stage. It's color is still on the light side and could be fished if it was open. .. The next 15 days will find temperatures in the mid to high 60's and flows should increase on a daily basis. The warm weather will be accented by rain and even some overnight snows - all of which should contribute to the lovely colors in the rivers. .. Over the last week the Gallatin River has gone from about 500 cfs to over 2,000 cfs. It will also climb over the next 15 days as well. It's upper reaches in Yellowstone National Park, and down to the Taylor Fork should remain clear enough to fish on opening day. .. So far the rains have been scattered, ephemeral, light, and accompanied by scenic clouds and pleasant sunsets. We're enjoying it - for now. .. Most of the neighborhood kids, (bless their hearts,) are dragging in the most - AND BIGGEST - fish of the anglers fishing our neighborhood waters. Armed for bear - and fish. .. They are not, usually, on Hebgen Lake. They are not, usually, on Quake Lake. They certainly are not between those lakes. .. Despite the fame of our ice out catching and the large spawners Between the Lakes, the kids have chosen to fish for the genuinelly big fish right now. 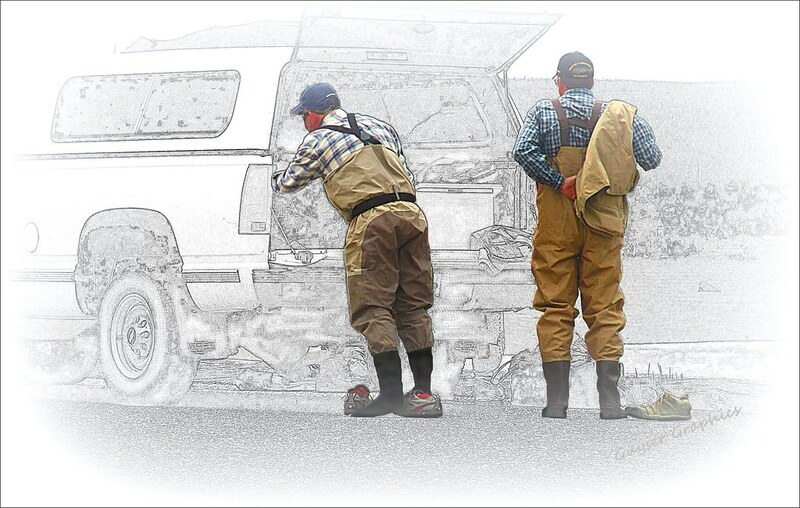 .. Off they go: down muddy roads with muddy ruts, through thick tangles, up slippery slopes, into the slush of melting snow, and to the haunts of fish that never see the light of prose by corporate fishers or the popular writings of famous fishing personalities. .. Some of the kids walk for a mile or two. Some of them are still riding snowmobiles. Most of them are using fire-breathing-death-machines. They all carry bear spray. They all have freshly charged cell phones. Most are well armed. They all fish for trophy trout. They also tie on the biggest fresh water flies we've ever seen. .. A few, not many, of the kids fish with worms. Some fish with flies and fly rods. some fling monster bunny strips with a spinning rod. They all have cell phone pictures of wall hangers that they have let go after an heroic tussle. .. Sometimes they keep a small fish of 16" or 18" for dinner. They let the bigger ones go to continue their spawning activities. Unless you are in the right pub, at the right time, you'll never hear about the locations of where to catch these fish. There's no secret about the locations. Everyone in the neighborhood knows where they are. .. 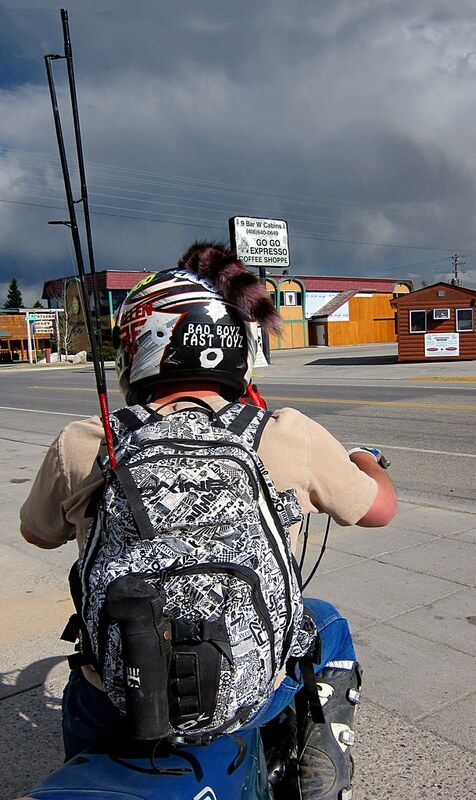 The places, however, are not for the itinerate anglers that frequent the roadside hot spots. These are places where the biggest fish hang out and make love. These are places where giants from the depths of our local lakes hide from the mysteries of shallow water. These are places where the kids go - why not? .. They eschew the redd tromping festival of the fishers between the lakes. They ignore the edges of the ice that require boats. They are allergic to the lawn chairs and easy beaches along the lake shores. .. We'll catch hell for this post. But not in any nasty way. The kids will tell you right where to catch the fish. It's really nuisance fishing. You have to discard 15 to 20 fish an hour to gather in the big ones. Most visitors would brag about the 16" young fish. They might even quit and call it a good day after dancing with all those fish. But the kids know better. They are adept at letting a fish go: quickly, safely. .. We have a fondness for this bunch of rascals. They do us favors. 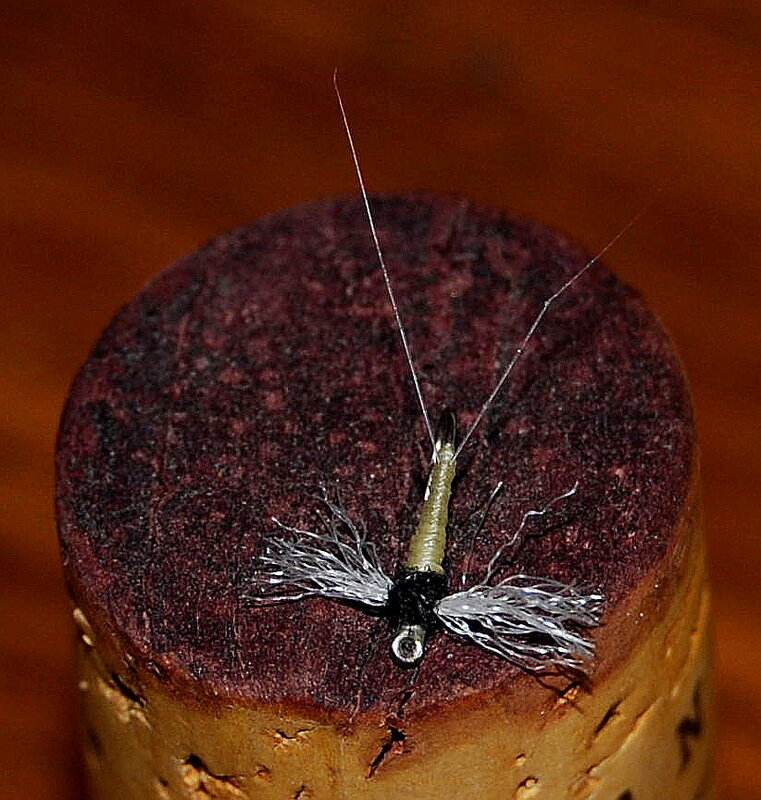 They tie miniscule flies on bits of tippet so we can fish the wee small bug hatches. They take us to the good spots that the counter help at the feather merchants' shops never would go to. They buy us liquids to bolster our vitamin levels and enhance our spirit. .. These kids know fishing. They know catching. They are wed, not to the corporate fishing scene, but to the fish of our neighborhood. Bless them all. .. Both the Madison Arm and the Grayling Arm of Hebgen Reservoir are ice free. The South Fork Arm is almost there as well. Parts of the shoreline along the north shore are open as well. .. Old Rule: ICE EDGE = HUNGRY FISH. It's mostly neighborhood fishing right now but there were several advanced parties of foreign fishers scoping out the lake over the weekend. .. Catching is an all day affair with the best stringers arriving after about 1:00 PM. Night crawlers, Panther Martain's, and pink San Juan Worms are the standout attractions of the moment. .. The most devilish indication of just how good the catching is, is that the local garden hackle supply is dwindling toward the zero point. Another indication is that the seven-day-a-week feather merchants have been closed for several hours each day of the weekend - and all day Sunday. Something is going on. .. The bluster in the weather has dribbled to a small nusaince level and there was most of a sunny day on Sunday. Neither the fish nor the fishers seemed to mind the sun and gentle breezes. There will be Spring bluster, (on and off,) for the next 10 days or so. Great for charging the streams with warm water and melting the remaining ice as well. .. 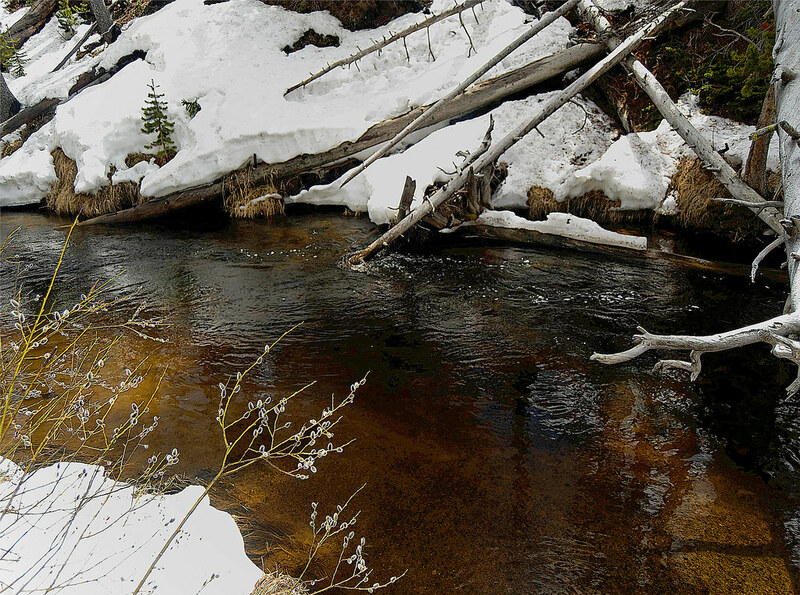 There are colors appearing in the west side rivers of Yellowstone National Park. .. They remid us of the decorations that infants leave in their nappies. 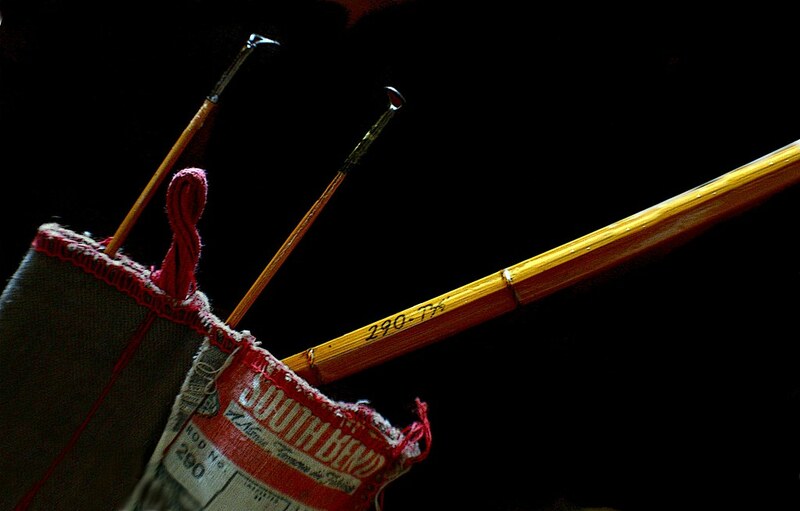 Some fishers refer to the color as tea-stained. We'd rather not drink that tea. .. Visibility on the Madison River is still around 18" or two feet and clouding up slowly. A few warm days and we'll be letting the lowland fishers know that the great catching is about to end. For now though, this is not what we would call a runoff event. .. 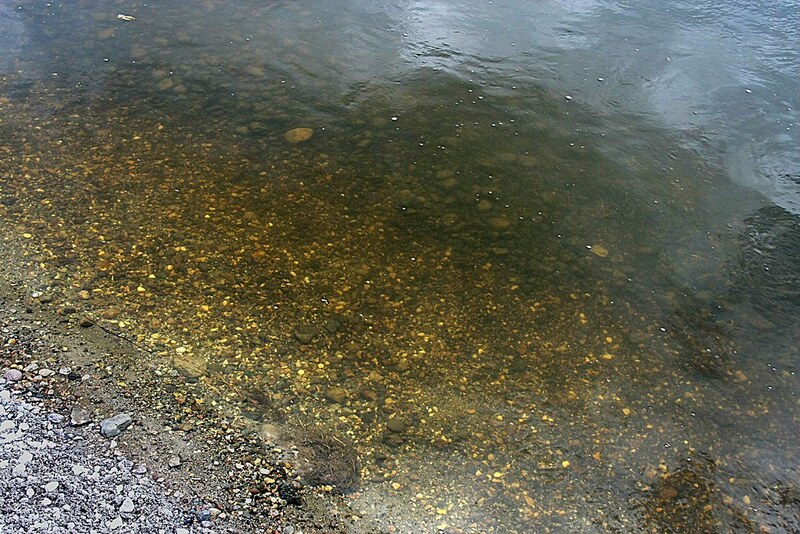 There are infrequent small bugs appearing on the surface of the water. There are more frequent appearances of noses and such. We suppose that there are midges in the bright spots of the warming water. .. We're going to have some biscuits and gravy. .. 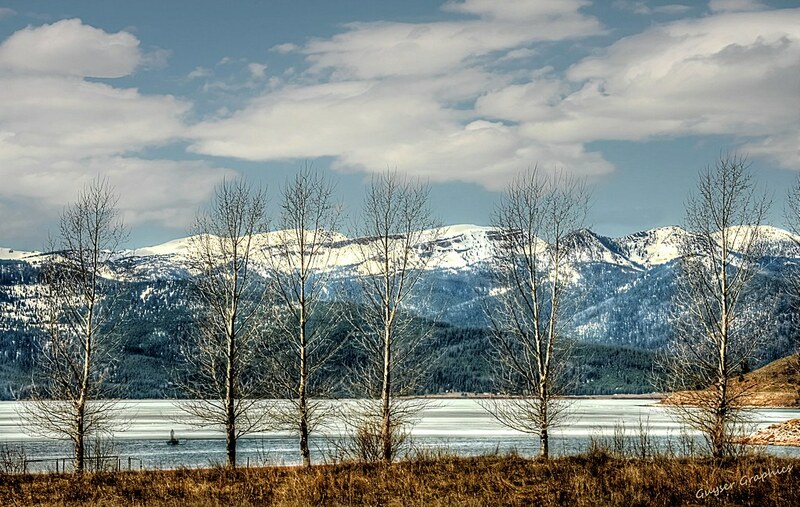 The weather wolverine of West Yellowstone has awakened and seen the water at lake's edge. The official declaration of "ICE OUT" is imminent. .. Between snow squalls the visiting tourons are dressing for summer and pretending that the faint sun is warm enough for a dream vacation. .. The neighbors are at Hebgen Reservoir, (sadly without lawn chairs for the moment,) and dragging in trout by the bucket. .. Visitors from nearby foreign countries, like Idaho, and Utah are planning visitations to the famous fishing frenzy on the rocky shores and beaches of the reservoir. .. 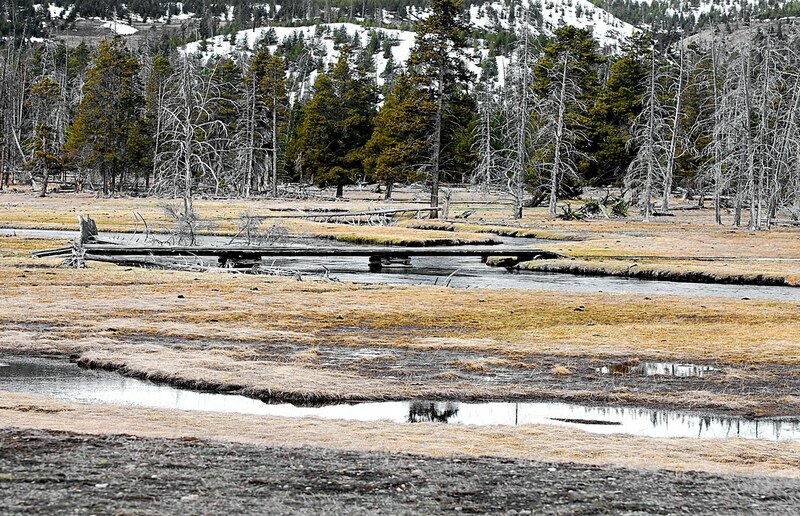 Even the bison are streaming out of Yellowstone National Park to view the unfrozen water, - a rare and short lived sight in these parts. .. We'll have a full report tomorrow or the next day - catching permitting. Can Summer Be Far Behind ?